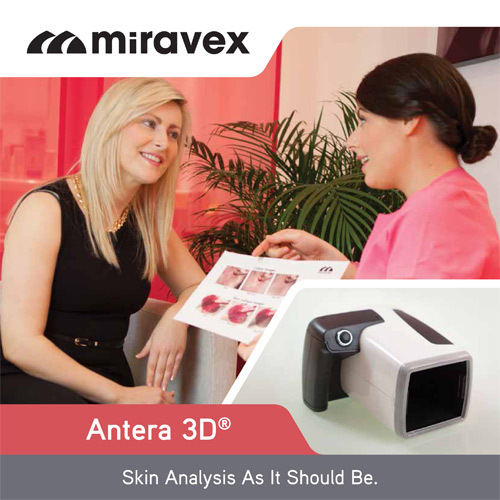 Miravex Limited features Antera 3D, the cutting edge device for digital skin analysis. Harness the power of multispectral imaging. In a simple finger click. Provide quantitative evidence of treatments’ results. Improve patients' experience and communication. 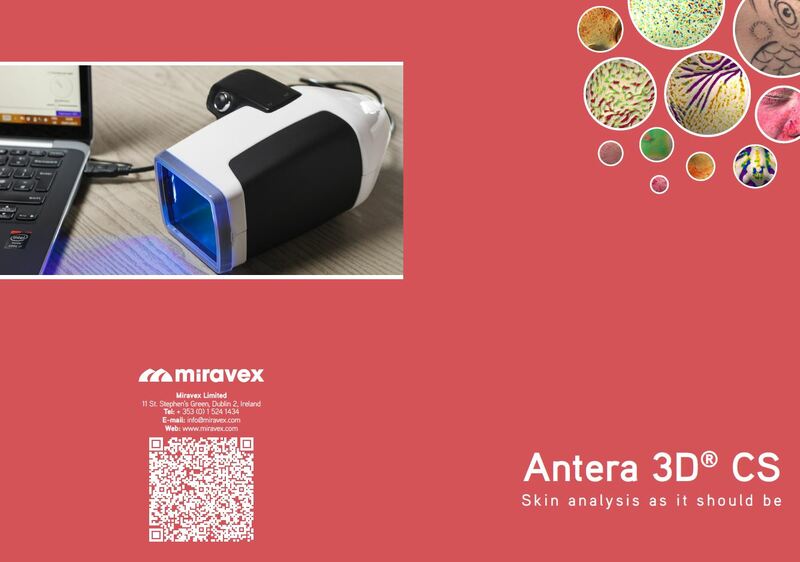 Antera 3D® is also an extremely reliable, research-grade instrument for claim support and product efficacy studies. Our operating software is available in the upgraded clinical studies version. Demonstrate the benefits of your skin treatments. Keep communication clear. Visible results, analysed and printed for review with your clients. 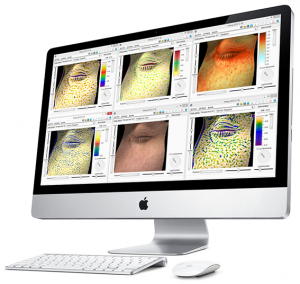 Evidence-based skin evaluation for skincare professionals.